Université Sainte-Anne is the only French post-secondary institution in Nova-Scotia. Celebrating its 125th anniversary in 2015, the University is recognized as an essential institution for the Acadian and francophone population of Nova Scotia. It is known for its high-quality academic programming, personalized approach, and focus on student success and engagement. 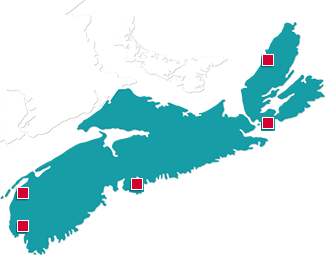 With five campuses located across Nova Scotia, students can choose to study on or off-campus through distance education. Students can immerse themselves in Acadian and French culture, and the University’s French Immersion program is recognized as one of the best in North America. Université Sainte-Anne boasts a graduate placement record above 90%, scholarship options, a vibrant and welcoming campus culture, and guaranteed job placement in certain programs.